When you feel like to listen to your favorite music with someone using one computer, you may have a question: Could I output the audio to 2 persons? Can I make a dual output happen on Windows 10? Some people claimed that there was a stereo mix option which enables clients to send audio to different devices. But now it disappeared from Windows 10 audio settings. 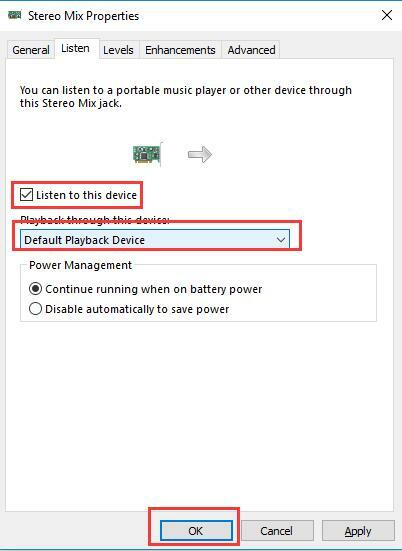 Follow this post and you can not only get the stereo mix option back again but also output audio to various devices on Windows 10. 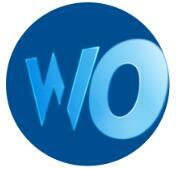 Now that you have noticed there is no choice for you to send audio to different persons. It may be feasible for you can choose to activate the Stereo Mix on Windows 10 so as to make output audio sent to several devices. 1. Search Sound in the search box and stroke Enter to open Sound settings. 2. Click Speaker and Set Default. 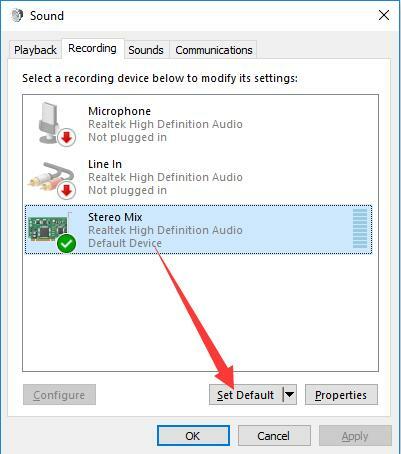 Here you are to choose to set the Speaker as default device on Windows 10. 3. Under Recording tab, right click the blank place to Check Show Disabled Devices. 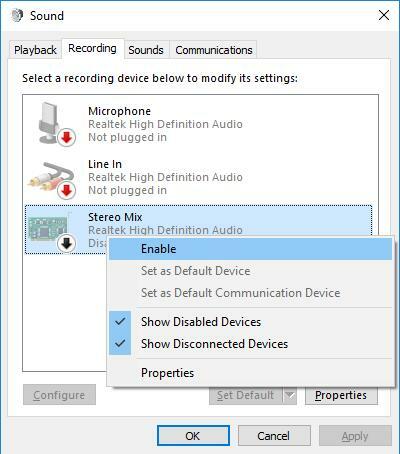 After you ticked the box to show disabled devices, you can see the option Stereo Mix or Wave out Mix or Mono Mix. 4. Right click the Stereo Mix to Enable it. 5. Click Stereo Mix and then choose Set Default. In this way, you will have successfully activated the Stereo or Mono Mix or Wave out Mix on Windows 10. 6. Double click Stereo Mix to enter its Properties. 7. Under Listen tab, tick the box of Listen to this device and Scroll down to choose your HDMI device from Playback through the device. Finally, click OK to save the changes. Then when you close the Sound settings, try to listen to a song with different devices, you would become fascinated by this little trick. Or you feel it has nothing changed, move on to further solutions. It is a universal known setting on Windows 7 or 8 to use a multimedia audio on Windows 10 to send audio to various clients at the same time. 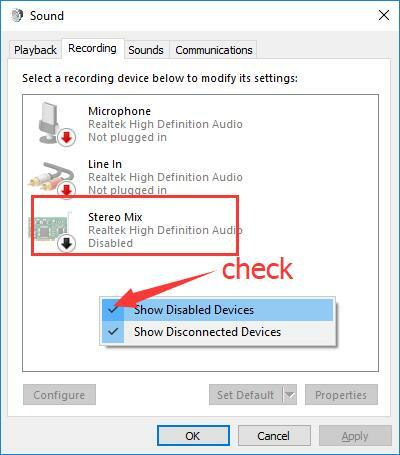 However, when you have upgraded to Windows 10, though at the very beginning you find there is a Stereo Mix option in Sound settings, later you have just lost it. If it really happens to you, you may as well manage to update the audio driver to fix this audio issues on Windows 10. 2. 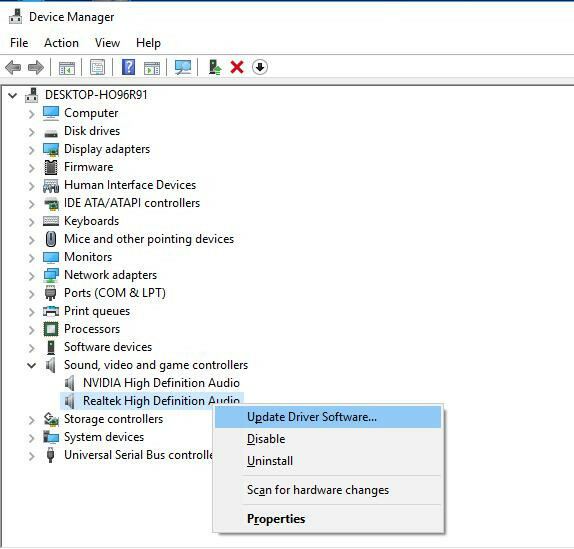 Find out and expand Sound, video, and game controller and right click the audio device to Update Driver. 4. 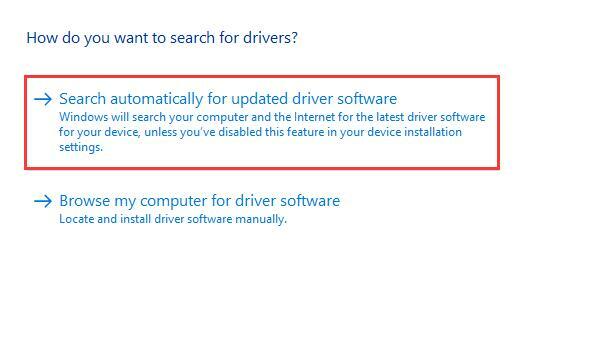 Windows 10 is Searching online for drivers. Or you can also make full use of Windows Update to help you download the up-to-date audio driver for Windows 10. 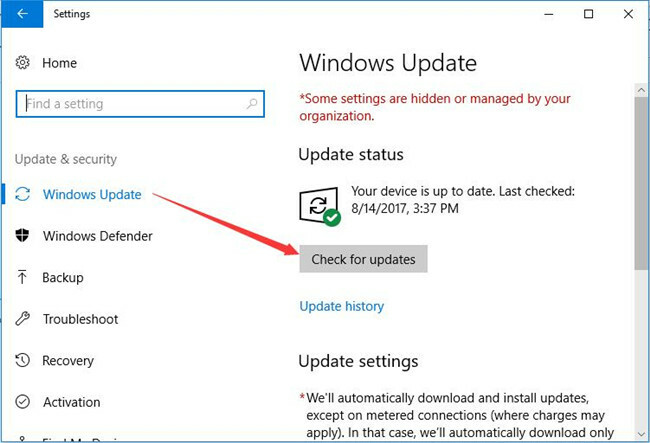 Go as the path: Start > Settings > Update and security > Windows Update > Check for updates. 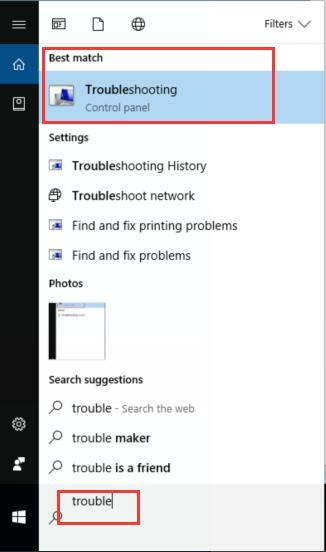 Windows 10 troubleshooting is an extremely useful tool to detect various system device errors and set the right settings. Accordingly, you can take advantage of it to detect your audio issues, including now working or disappeared Stereo Mix option. So if your computer cannot send output device to multiple device, you can use troubleshooter to fix it. 1. Type Troubleshoot in the search box and choose the best-matched one. 2. Under Troubleshoot, locate Playing Audio and click Run the troubleshooter. 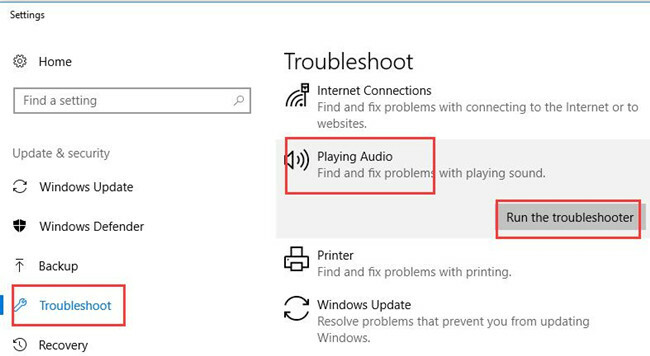 After that, audio troubleshooter on Windows 10 would detect the audio problems on your PC, for instance, no audio output device is installed. 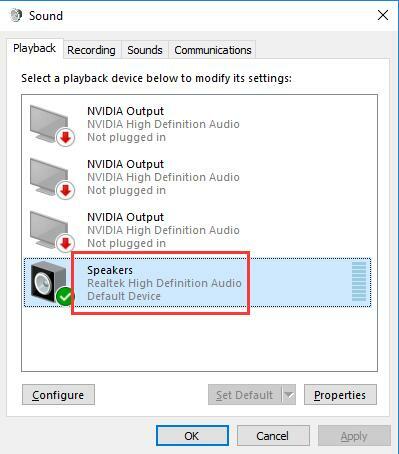 No matter you are using NVIDIA or Realtek or Intel High Definition audio on Windows 10, the issues can be fixed in this way. If you would rather fix this audio problem and send output audio to other devices in no time, it is advisable for you to download a third-party software freely on Windows 10. Voicemeeter is a free utility which is endowed with Virtual audio device managing any audio device to one or more audio devices. You can choose to download Voicemetter Exe file or Zip package and then install it on your PC. 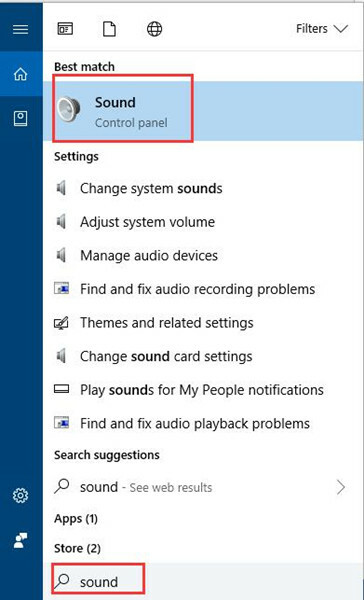 After some basic settings, you would be enabled to output audio to another or more audio devices on Windows 10. 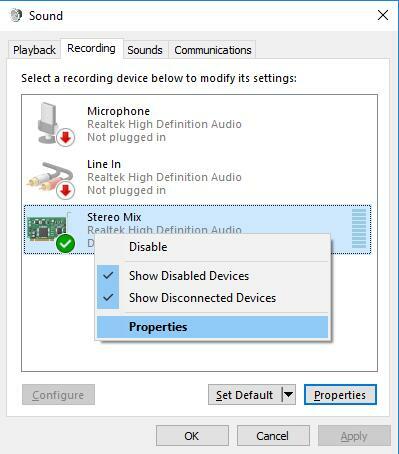 All in all, people who would like to send output audio to other ones would often feel confused about what to do to regain the Stereo Mix and fix this multimedia transmitting audio issue on Windows 10. This article would be a necessary saver.